A truly awesome wilderness mule deer hunting experience during the migration AND the mule deer rut. You will fly-in, hunt on horseback, and spot-and-stalk trophy mule deer. Most hunters will fly or drive to Challis, Idaho where they will take a backcountry flight into a private air strip in the wilderness. The Outfitter will pick you up at the strip with horses and a string of mules and pack you into camp. Hunting will be on foot and on horseback. Late October through November 18 during the rut. You’ll be hunting for mature 4 point mule deer bucks. Most bucks will score between 150-170″ with some exceeding 200”. Seeing 10 to 20 bucks in a single day is not uncommon. This is a classic wilderness mule deer hunt. This wilderness mule deer hunt takes place in November during the heart of the mule deer rut during the migration out of the high country. You will be amazed at the number of deer you will see each day on this very special hunt. During the course of your hunt you should see a number of bucks that will go over 160″ or so. We’ve never been on this hunt and not seen a HUGE buck or two during the course of a week. One of our hunters took this 200+ inch buck a few seasons ago on this hunt. If you’re looking for a traditional, backcountry mule deer hunt, this is the trip for you. 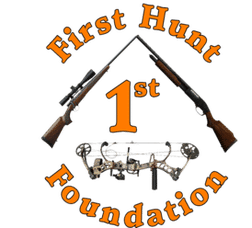 Located in the beautiful wilderness of Idaho’s famous Frank Church River of No Return Wilderness this is one of our most sought after mule deer hunts for good reason. Since the Frank Church Wilderness is so remote, hunting pressure on the deer in this area is very low. Not only is it remote, it also takes place in November during the rut AND in a migration corridor! The quantity and quality of bucks is amazing! You’ll see 10 to 20 bucks a day on average. Bucks will average between 150-170″, with some exceeding 200″. Unmatched landscapes, pack in on horseback, camping out, spot-and-stalk hunting during the mule deer rut, experienced guides, outstanding meals and much more. It’s the whole nine yards. There is a very reasonable possibility that you could take the muley buck of your life on this hunt. No fences, no fancy lodges, no travel by SUV or ATV, nor are there any crowds or cell phones. This is a true mountain man experience and the hunt of a lifetime in an area that spans 340+/- square miles. This country is rich in history and free roaming, non-pressured mule deer abound. I’ve been on this wilderness mule deer hunt three times, both as a guide and as a hunter. I’ve hunted a lot of places, and this is one of my favorites. LOTS of deer. LOTS of big deer. The rut is in full swing and you will see unpressured bucks right from your tent. An incredible hunt.